In 1998 the concept of “family travel” was not as refined as it is today, with hotels mainly targeting the 5-12 age set when it came to services and activities. So, Family Travel Forum set out to discover the best getaways for new parents with infants and toddlers under 3-years of age. After months of research, investigative reporting, site inspections and networking with parents, we came up with 10 great resorts that were certainly above the curve when it came to pleasing babies and parents. After years of tremendous change in the travel industry, it is time to revisit these winning pioneers. Today, every niche market can use technology to make its needs known, and moms and dads have demanded a more personalized and richer family vacation experience. Here we have re-examined the 10 original winners to learn how they are meeting new demands, how they have changed and in what ways they grew to accommodate today’s family customer. Revisit FTF’s 1998 award winners to see how family travel has evolved — and if these resorts still cater to infants and active kids. Stacy Royal, PR Director, notes that many more moms and dads are bringing along extended family and grandparents on vacation, so this resort (originally a Superclubs property, now a Sandals resort) has renovated to offer multi-room suites (some with butler service) accommodating families large and small. The second biggest change is that more time-starved parents are looking for time off while their children are engaged in entertaining and age-appropriate activities. As a result, Beaches Ocho Rios, as well as all Beaches Resorts, offers more certified Ultra Nanny care (from 9am to 6pm; after care available for a fee) and a wider variety of activities including glass bottom boat rides, an Xbox Game Center, a junior golf club, kid’s scuba program and more. Cementing its FTFQ (fantastic for families quotient) with young parents, Beaches teamed with Sesame Street to entertain and educate its tiny guests with weekly character parades, delightful character breakfasts, and superb learning activities. Age-appropriate groupings of infants, toddler, kids, pre-teens, teens and guests with special needs offer activities ranging from gentle indoor play and sand-castle building, to tennis, beach volleyball and billiards. And, while kids are swimming, having fun and learning, mom and dad can get some much-needed pampering at the Red Lane Spa. And as waterparks began to dominate the theme park business, the Beaches chain responded with its own impressive array. Pirates Island Waterpark features an Aqua-Play area with huge waterslides, a lazy river, water cannons and whirlpools, as well as a swim-up soda bar and ice cream machine. This waterpark’s Kid’s Zone even caters to the tiniest of travelers with a zero-entry pool, 6 kiddie slides and other tiny-traveler-friendly water features. Boscobel has also stepped-up to parents’ demand for healthier (and a few ethnic) meal alternatives to the standard kid-favorite chicken fingers and fries requisite with 7 restaurants, all included in the vacation price. We know we can expect more from this savvy family brand as innovations spread to their Beaches Negril and Beaches Turks & Caicos properties as well. Franklyn D Resort remains a popular choice among families because of its signature service: Trained, private Vacation Nannies assigned, free-of-charge, to each arriving family throughout their stay. Safety and quality standards are ensured because each FDR Nanny, recommended by the Jamaica Tourist Board, is trained in the hotel’s Vacation Nanny Training Program, which includes CPR and FirstAid. Perhaps just as important to today’s over-worked parents, the nannies (daily from 9am to 4:40pm) also keep the condo accommodations tidy and stocked, arrange for excursions off the property, and assist as a family helper, making for a worry-free vacation. Tina Yap, Marketing Director for Franklyn D Resort, notes that families have always been attracted to the property because of the intimate size, the 1:1 staff to guest ratio, and spacious suites, a winning formula that’s little changed. In the past, the resort offered Mini-Clubs for children and a Teen Program with all the usual activities (arts’n’crafts, nature walks, snorkeling, and kid parties). Today, the resort’s Yellow Bird Kids Club entices families with these same favorites plus more: the latest game systems and computers, bike tours, glass-bottom boat rides, kid’s playground, fishing, soccer and cricket clinics, reggae dance classes, cooking classes, teen scuba diving, the three waterslides, spa treatments (for a fee) at the Seagrape Spa, and whatever guests want next. Franklyn D Resort has also noticed two other growing trends: increased demand for family-together adventures and child-enrichment activities, and familymoons. To meet the first need, FDR’s concierge can arrange zipline canopy tours, 4 x 4 offroad safaris, horseback riding and more. To meet the latter need — more couples flocking to the property for destination weddings and honeymoons with children from previous mattiages in tow — Franklyn D. Resort has built a two-bedroom honeymoon suite with its own private 500-square-foot deck right on the beach. And, for those families seeking a more casual atmosphere with a focus on ecology, nature and even more adventure, FDR offers guests Pebbles, a second resort in Jamaica, consisting of 96 suites in wooden cottages on the beach. Located near Montego Bay on the north coast of the island, it’s a perfect spot for learning about the sea and the extensive coral reefs. Pebbles also offers the Vacation Nanny and programs for all ages. In “Treasures,” one of the industry’s best new childcare centers, infants and toddlers from as young as 6-weeks through 3-years-old can enjoy 5,400-square-feet of indoor space divided into age-appropriate areas for both playing and resting, and a 4,000-square-foot outdoor play area for frolicking in snow, leaves or grass. A new addition is Smuggs’ Little Rascals on Snow program, a learn-to-ski/snowboarding playtime program for 2.5 to 3-year-olds that runs in cooperation with the ski school, so tinies are able to head out for quick outings on the snow and then return to the center’s cozy atmosphere for meals and naps. The day care, staffed by fully-certified staff, trained in First Aid, CPR, child development and behavior management, also has a library that loans parents and kids toys and games to use in their vacation condo. This athletic enrichment began on a trial basis in the winter of 2004-2005 and, due to parent demand, has become permanent. In a trend towards greater personalization, 3 to 4-year-olds may graduate to Discover Dynamos in full day ski or ride camp, another recently added program. Smuggs’ other excellent camps include Trail Blazers ski and snowboard program for the 5-6’s with the option of full day ski or ride camp or two hour lessons. 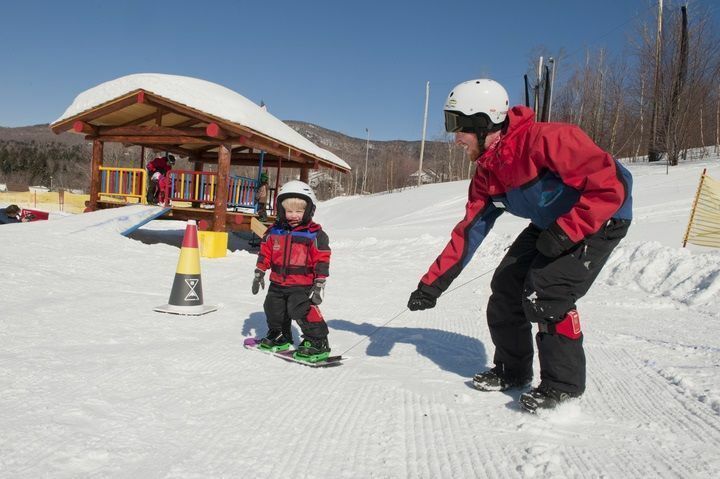 The children’s program instructors feel that 5 and 6-year-olds tend to be more independent and ready to take on new adventures, and may already have skiing or riding experience. They find that physical development with children of this age is typically further along in terms of coordination, strength, and balance than with 3 and 4 year-olds. This age division has also been sucessful with Smuggs’ summer programs. The Nordic center has cross country gear and snowshoes that accommodate kids as young as 2, plus Pulk sleds if the youngsters would rather be towed by mom or dad on the cross country ski trails. They also offer ice skates with double runners for young children. Teens are not forgotten, with two separate programs (for 11 to 15-year-olds and for 16-year-olds and older) with evening skiing and snowboarding options, mountain biking and boarding, X-box and Playstation 2 facilities, peer parties and purpose built “parent-free” zones. New physical plant conveniences at Smuggs also cater to avid skiing parents, including ski-in/ski-out access to more condos, an enhanced base villlage, and heated “snowmelt” walkways to prevent slipping and sliding. Other thoughtful features (and at Smuggs, they are always thinking about how to improve the family experience) include the nursery’s one-way mirror wall (for parents with separation anxiety) as well as tiny toilets and sinks off the slopes for easy access. 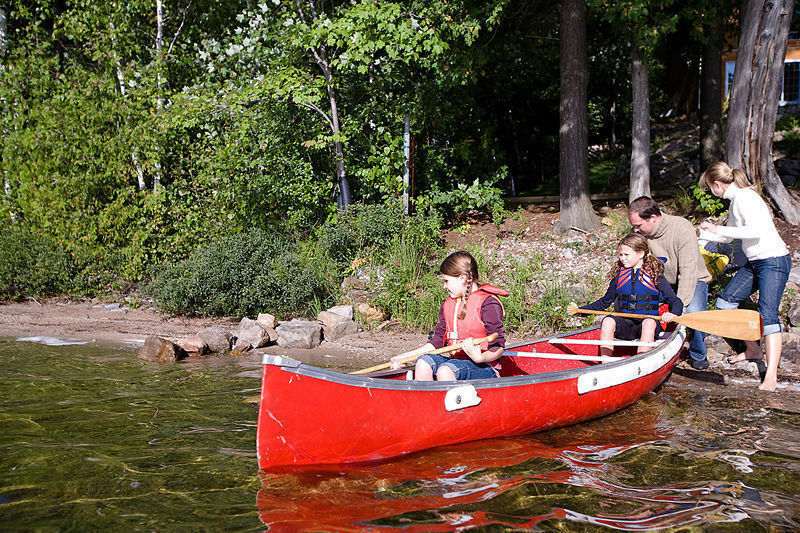 Since Tyler Place was first selected as a Top Ten Resort for Tiny Travelers by FTF, there has been much physical growth on the 165-acre lakeside grounds. To extend the popular swimming complex, a family fun Splash Pad has been added. Additionally, the Field House, with various sports courts, and an arts’n’crafts room, serves as a foolproof solution to the occasional rainy day. Beyond the unlimited canoeing, biking, watersports, aerobics classes, tennis and nearby golf, those seeking relaxation can try yoga instruction, guided nature walks, art and pottery making, or relaxing with a good book in an Adirondack chair, facing Lake Champlain. The Tyler Place has also tried to expand its activities off the grounds with family trips across the border to Quebec, Canada to different shops and even chocolate factories. Accommodations at the resort, reminiscent of a fun-filled sleepaway camp, range from private cottages with fireplaces and kitchenettes to a modern lodge, and with a total of 70 units, the resort has a warm, friendly vibe, with lots of returning families who book the same week year after year so they can meet up with their Tyler Place friends. The daily schedule offers children’s program in the mornings and evenings and family-together time for play and relaxation every afternoon. Rates include all meals, sports, educational and cultural programs, as well as children’s programs, except for baby care. Feel free to call the friendly staff for an explanation of infant/toddler program fees which include meals for toddlers, cribs, highchairs and child seats. Because they work so well, there have been no changes in the nine separate childcare programs which still cater to newborns through 16-year-olds with age specific programs. Staff are personally selected by the Tyler family and trained in First Aid, child development and safety procedures, and most are Infant and Child CPR-certified. Special baby amenities include a wide array of developmental toys, stimulating play, a petting zoo, buggy rides, and indoor and outdoor wading pools. And there is still a big focus on the healthy, Vermont-grown, superb food prepared by the experienced kitchen staff. Note that the dining room is for adults (except for the optional family breakfast room) as all youngsters enjoy their meals with their sitters or groups, making a romantic dinner not only thinkable, but positively doable. The reason that there are no major changes is that the guests do not see a reason for any – at least not yet. The Tyler Place can verify this by the questionnaires that it requires guests to fill out after their stay. Co-owner and Tyler-Family member Pixley Tyler Hill states, “We try to take all the ideas we are given to see what our guests really want.” Thus, all the new programs initiated at the classic summer camp resort, such as an extensive new bike trail system and free bike rentals for all guests, have been generated by the families who keep returning year after year. And according to Tyler Hill, the resort has a huge return rate of 80%. It is no wonder that The Tyler Place continues to set the bar for other family-friendly resorts nationwide. When we revisited The Athenaeum we learned that one of London’s top hotels certainly continues to be a great choice for families. Offering a comfortable atmosphere and warm, personal service in the traditional British style (as well as apartment-style accommodations) The Athenaeum scores points with their Kid’s Concierge, private nannies, baby supplies, toy chest, books, games, Xbox, Wii, children’s DVD library, plus robes and milk and cookie service winning them FTF’s Tiny Travelers awards in the past. However, their new sister property exceeds any B.U.P.P.Y’s (British Urban Professional Parent) expectation. We believe that The Grove (44 0 1923-807807; Chandler’s Cross Hertfordshire, WD3 4TG, U.K.), a country estate resort and spa founded by the same management as The Athenaeum, is an even more fabulously family-friendly getaway. Family accommodations include interconnecting rooms, cribs, rollaways and bunkbeds, and their even dog-friendly rooms if Fido needs a vacation, too. 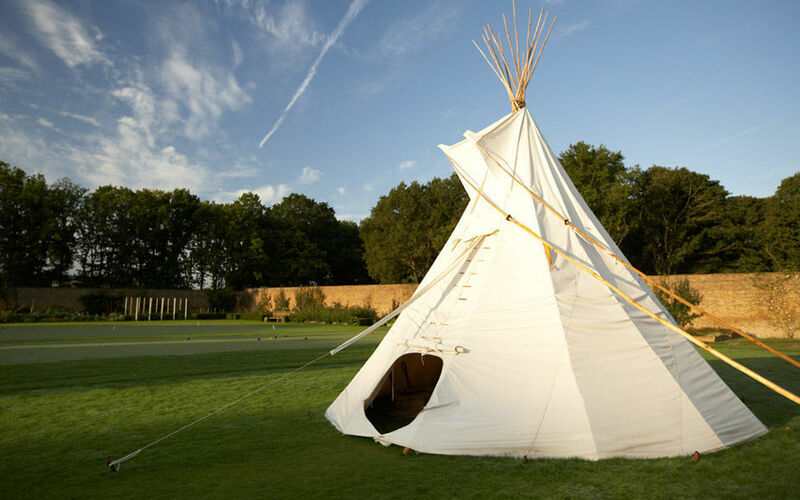 Located in the English countryside just 25 miles northwest of London, The Grove offers a myriad of kids’ activities include biking (helmets provided), tennis, croquet, children’s indoor pool, a beach and a walled garden. Anouska’s Kids Club offers fee-based supervised activities for babies 3-months to 11-year-olds, with a separate Day Nursery for those under 5-years-old. Activities range from gentle play on swings and in the sand box, to jumping on a trampoline, to classic and modern games, plus golf and snooker. Open daily from 8am to 6pm for the Nursery and 9am to 5pm for the Kid’s Club, reservations are strongly recommended, particularly over weekend breaks. 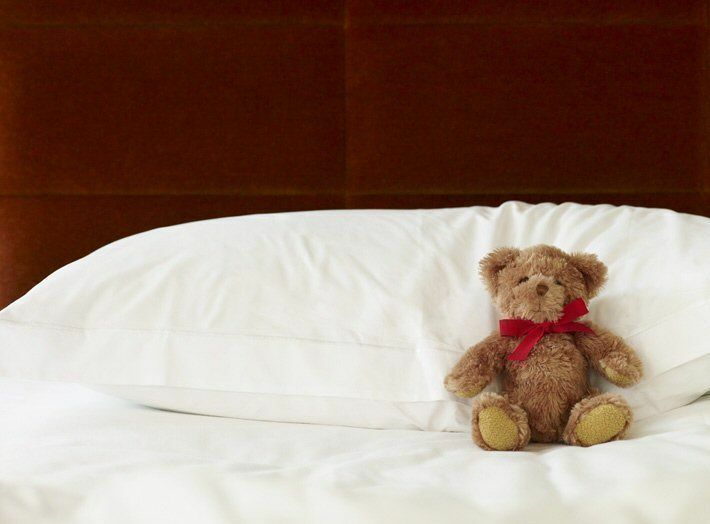 Parents looking for a more intimate one-on-one childcare, or after-hours service, can opt for private babysitting through the hotel who partners with Tinies, the UK’s leading childcare company. The hotel can also arrange for family excursions to nearby attractions including the Harry Potter Studio Tour, and the always popular Legoland in Windsor. The Luxury Collection’s Sheraton Algarve Hotel in Portugal, overlooking the Praia da Falesia and the Atlantic, remains popular with families for its townhouses, villas, golf suites, and the new Pine Cliffs Residence apartments. With cooking facilities available, families can prepare their own meals (a huge potential savings) or take advantage of 24-hour room service. Guests can also enjoy the housekeeping services, concierge, reception, restaurants, bars and leisure activities of one of the region’s most luxurious coastal resorts. Sarah Moreira, Marketing & PR Manager for the Sheraton Algarve, notes that today’s families tend to have children later in life, which often means more income for luxury travel. And because most parents who arrive at the resort are both in the workforce, a family vacation is more important than ever to renew bonding and promote relaxation. The resort recently underwent a careful study of what family guests are looking for, then worked to meet new demands by implementing children-only experiences, varied childcare options, indulgences like gourmet food and beverage choices (especially for children), and a stress-free and uncomplicated guest experience, among other key factors. Still a staple of the resort is Porto Pirata, an imaginative children’s village that entertains tinies and big siblings year-round. The 7,000-square-meter play area has two pirate ships, a private pool, a playground, a bouncing castle and mini-golf, as well as room for treasure hunts and other counselor-led activities, plus napping quarters. The youngest family members, ages 6- to 36-months are cared for in an exclusive nursery by a university-trained, multi-lingual staff. Separate programs with varied activities are offered to 3 and 4-year-olds, and 5 through 8-year-olds. The Junior Club is for 6 to 12-year olds who enjoy mini-golf, tennis and more. Private babysitting is also available, ensuring a customized vacation experience for families seeking a tranquil resort in a picturesque setting with upscale amenities and services. The property will be undergoing extensive renovations, and will re-open in July, 2015 after the first phase is complete. Originally opened in 1966, Wyoming’s Jackson Hole mountain resort has always encouraged and promoted family travel. In fact, when FTF first reviewed it in 1998, it had just opened a Kids Ranch to provide families with a licensed daycare option for infants 2-months through 5-years-old. Since then the program has grown tremendously, now catering to all ages and stages from 3-months through 17-years with activities that are specifically tailored to each age group. Currently “Wrangler’s Daycare” offers groups for 3 to 36-month-olds, and begins ski and snowboard activities with potty-trained 3-year-olds. Additionally there is a group for for kindergarden and Ist graders, and one for second to ninth graders. Teenagers, who previously had no recreational programming geared towards them, especially reap the benefits as they now have peer movie nights and customized snowboarding instruction. Anna Olson, the Brand Director of Jackson Hole, comments on the need to satisfy a tremendous growth of winter family travel at their resort in recent years. Instead of offering more of the expected Kids Club fare of arts’n’crafts and sing-a-longs, she adds, “Lots of these kids want to spend time in the terrain parks and pipes.” Thus was born the resort’s seasonal camps, three-day extravaganzas in a terrain park filled with pipes, ramps and rails, exclusively for teens ages 12-17 who are intermediate or higher level skiers or snowboarders. The natural beauty is reminiscent of the Alps, the snow is soft and light, and you are surrounded by the influence of Indian and Spanish cultures in this southwestern haven for skiers and families. Eighteen miles from town, you can visit the Taos Pueblo, the multi-layered adobe dwelling of the Native Americans who have inhabited this community for 1,000 years. Artists flock to Taos and art lovers can browse for hours in the many galleries and museums. The huge news at Taos Ski Valley is that the formerly skis-only resort has opened up the mountain to snowboarders, and offers snowboarding classes for kids at its legendary Ski School. Why? Taos’ Marketing Manager, Adriana Blake, explains that snowboarding had become such a huge family sport in recent years that many family guests could no longer enjoy the village. In order to make families feel even more welcome, over the past 10 years, Taos had already introduced a myriad of other activities such as a terrain park for freestyle skiers, a NASTAR Racecourse, snowmobile tours, a tubing hill, ice-skating and even hot air ballooning in fair weather. The ski school is often noted as one of the country’s best. Taos’ licensed childcare program once grouped together all children from 6-months to 3-years of age. Now, with the addition of BebeCare, the tiniest of traveler (6 weeks to 12-months-old) have their own personal staff to keep them happy, but be sure to reserve a spot in advance. 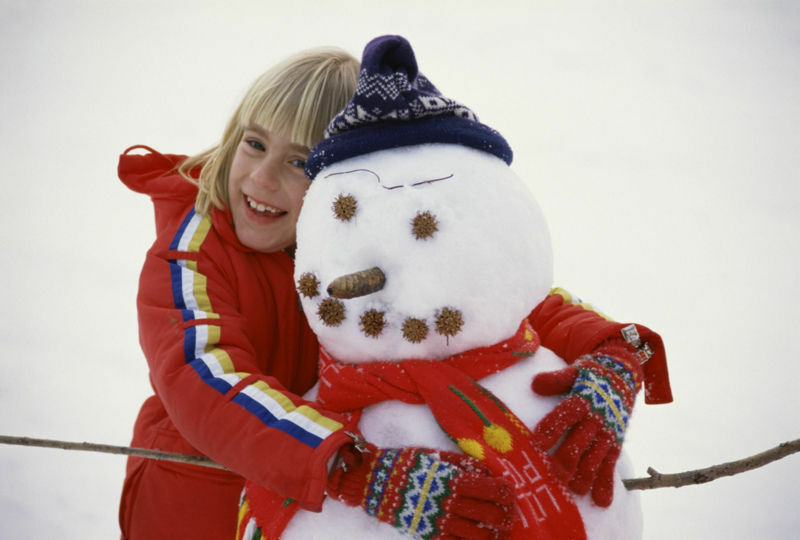 KinderKare is for one to 3-year-olds who enjoy snowplay and indoor activities. 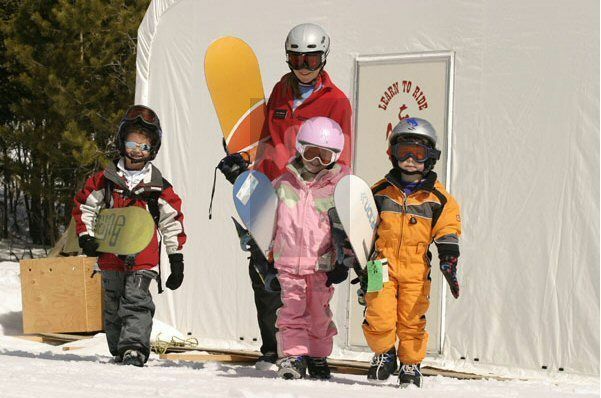 Older groups who can choose from ski and snowboard lessons are 3 and 4-year-old potty trained toddlers, 5 to 7-year-olds and 8 to 15-year-olds. The older groups receives more formal instruction. Additionally, the day care staff and ski instructors can provide you with a list of evening babysitters. Located in the magnificent redwoods between the Sequoia National Forest and Kings Canyon National Park, this mountain getaway provides all the ingredients for a peaceful, yet active vacation. The entire family will have opportunities to share experiences as well as “do their own thing.” Open year round, facilities include a private lake for boating, waterskiing and fishing, tennis courts, horse stable, hiking and biking trails, rockclimbing, riflery, crafts shop, heated swimming pool and hot tub, cross-country skiing and ice skating. Buffet meals are included in the vacation price. The accommodations provide a great opportunity for a real camp-style experience with no telephones or televisions to interrupt family-together time. Eight one-room, windowed cabins contain a king and two bunks. Although these Mountain Cabins do not have running water or plumbing, there is electricity, and some cabins are equipped with wood-burning stoves. Ceiling fans help to blow the cool mountain air around and electric blankets keep you toasty when necessary. Nearby bathhouses provide toilets and shower facilities. Additionally, four Forest Cabins offer a living area, king-sized bed, full bath and upstairs loft with half bath for kids, and happily accommodate a family of four. Finally, there are 37 lodge rooms and suites with private baths that accommodate families with a variety of queen, king and bunk beds. Supervised activities for children are divided into seven age groups ranging from 2-18 years. Activities for the youngest children include dock walks, creative play, pony rides, swimming, story and nap time. Although there is no organized program for children 6-23 months, there is a special Infant Play Yard full of toys and infant paraphernalia where parents and teenage babysitters can bring babies to play and make friends. They are also free to join in activities with the youngest group if accompanied by a caregiver. Qualified babysitters (off-duty counselors and CITs) are readily available for hire. There are age-appropriate supervised group activities and sports instruction for kids up to age 18. Judy Vincent, the Office Manager, asserts, “It’s a place where every family member gets to choose what he or she wants to do. Everyone has fun either individually and/or as a family.” Vincent also notes that throughout its almost 70-year history, the Montecito has heard from many families that traditional camp activities have helped build a stronger family bond and create friendships with other guests. Not much has changed in the activities or programming at this rustic camp. However, despite being aware of many new trends in family travel, Vincent notes that most families who choose this getaway actually desire the simple and traditional fun of yesteryear, with campfire songs, variety shows and friendly counselors being the focus. Montecito believes that the most important thing for vacationing families is that they get the best value with less stress. To meet this need, Vincent states they have simplified the details of all-inclusive packages, making the vacation planning and booking easier. Over the past 10 years, The Peaks has maintained its standard for luxury wellness services in a resort setting. And families continue to benefit, with special treatments including skin care, a variety of massage techniques and saunas available to all guests, including unique treatments for teenage guests. New to the resort? Guests 16-years and older can immerse themselves in the Spa “Kivas” (ceremonial shelters in native American lore) for a complimentary Peaks Purification Ritual, including use of the steam room infused with Colorado aromatic herbs and the use of a cedar-filled sauna and mineral-water whirlpool. The Peaks has also responded to the latest trends in healthy family travel with their “family fitness” programs tailored to the family dynamic. The Peaks Kids Yoga classes are the perfect way for families to work out and stay fit together. Additionally, to meet an increased demand for more adventure activities, The Peaks, located outside the Telluride mountain resort, has its own ski school and snowboarding lessons for kids 3-years and up. More family fun unfolds at the indoor/outdoor pool, waterslide and kiddie pool. Meghan Gruszynski, Marketing Manage of The Peaks, notes that today’s families are looking to connect with each other in an adventure setting, while enjoying a relaxing luxury getaway. Therefore, in addition to 159 luxury rooms and suites with ski-in/ski-out access (many only partially renovated due to a recent change of ownership) and 12 penthouse condominiums, The Peaks Resort now offers 15 cabins to meet the increased lodging demand being made by multi-generational families and family reunions. Built of logs and stone, these three- to six-bedroom lodges, decorated in a mountain style, are luxurious getaways with private whirlpool tubs and other amenities. Still catering to a special fitness and wellness oriented crowd, the cabins are within walking distance of the brand new Telluride Gondola, the Spa, and the village’s fine restaurants and golf, and are connected to each other (and perhaps to guests’ relatives) by a heated cobblestone walkway.